Prince Harry touches down in American today (Thursday) for a six-day tour of the country that will see him honour several charity engagements the most poignant of which will involve carrying on his late mother Princess Diana’s good work. As Prince Harry returns to the US for the first time since photos of him naked in Las Vegas emerged it’s hoped his trip will overshadow previous events and the focus will be firmly fixed on the work he will be doing there. 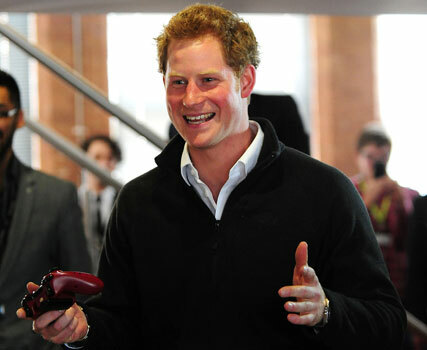 The royal’s first stop will be in Washington DC where he will meet with members of landmine charity Halo Trust. This cause was close to his mother’s heart and she bravely visited minefields that were being cleared in Angola in 1997. Other stops on Prince Harry’s tour include the Arlington Cemetery where he will pay his respects to people killed in recent conflicts. He will then open the Warrior Games in Colorado a Paralympic-style competition for wounded servicemen and women, before heading to New York where the visit areas effected by Hurricane Sandy. It sounds like a full-on week for Harry!